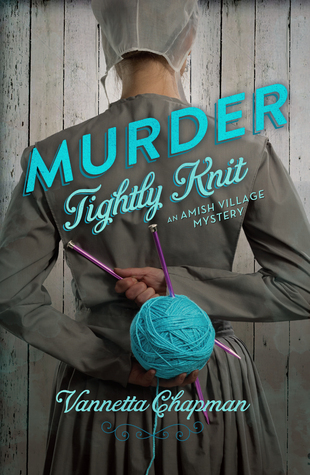 Today I am reviewing Murder Tightly Knit, the second novel in the Amish Village Mystery series by Vanetta Chapman. The police call in a federal investigator, but Hannah and Village manager Amber Bowman are in no mood to wait for them to figure out what they already know — that no one from the Amish Village could have killed Owen Esch. 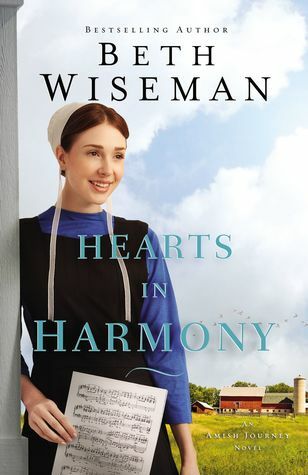 I don’t know how Vannetta writes such a terrific mystery, with Amish and Englisch individuals all running around, getting in each other’s way. She creates so many interesting characters, somehow making each one look suspect at one time or another! But this is no simple who-dun-it… oh no! 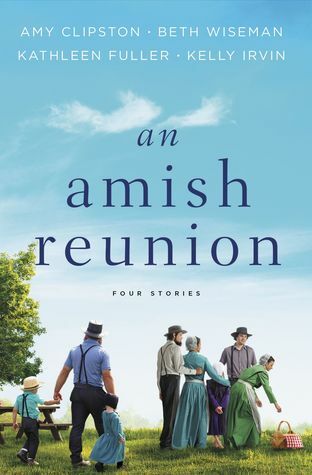 The synopsis might state that Amber and Hannah believe that no one from the Amish Village could have killed Owen Esch; but the fact remains that he was murdered and as new characters are introduced, each one seems to have an agenda, perhaps even a reason to kill poor Owen. Chapter after chapter, I studied the individuals, watching them (well, technically I was reading the story, but I tend to get caught up in the story and it’s easy to find myself smack dab in the heart of Amish territory, which in this case means Middlebury, Indiana. Obviously, I’m not going to spill any more beans than the synopsis already has… and I’m sure you don’t want me give anything away… but believe me, this story is amazing! 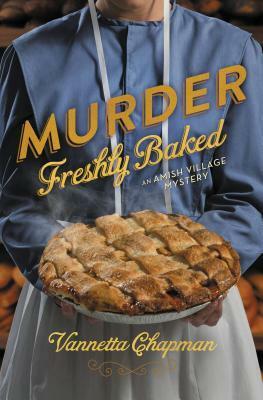 If you read and enjoyed Murder Simply Brewed, you’re really gonna love Murder Tightly Knit! WOO HOO – another Amish Village Mystery! 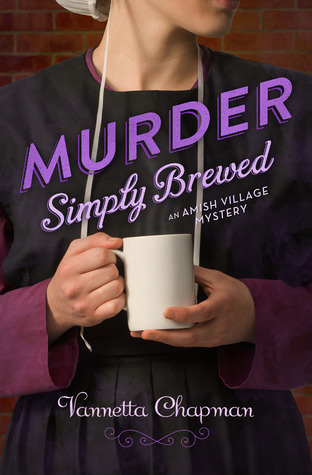 Today I am reviewing Murder Simply Brewed, the first novel in the Amish Village Mystery Series by Vanetta Chapman. Spring has arrived in Middlebury, Indiana, and Amber Wright can see profits in sight for her collection of Amish artisan shops—until she receives a call that Ethan Gray is dead. Hurrying over to A Simple Blend, she finds a single hole in the front window and Mr. Gray dead from an apparent heart attack. All the money is still in his register. Hannah Troyer takes over the shop’s duties, and she and Amber become fast friends as well as amateur sleuths. The police believe Gray’s death to be a by-product of vandalism, but Amber and Hannah aren’t so easily convinced. 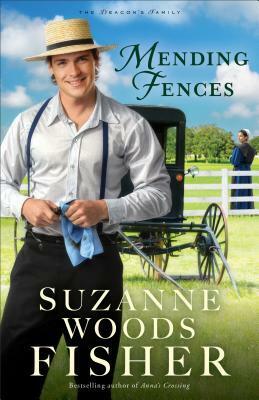 Old Testament clues that don’t add up, a neighbor who is pulled into the midst of the investigation, a town with secrets to hide, and blossoming romance—all will combine to push Amber and Hannah into unfamiliar roles in order to solve a mystery and bring peace to the Amish community. I have never, to my knowledge, finished a book, only to pick it up again almost immediately to read through again, but that is exactly what I did! Murder Simply Brewed proved nearly impossible to put down… I can’t remember the last time I felt so anxious… so nervous… waiting for the killer to make their move! The characters are amazing! Vannetta has captured so many different personalities. Putting them together to solve the mystery works perfectly. I love her idea of adding the “mystery package”. I laughed and laughed over the idea! I have quickly learned that Vannetta’s books all belong on my “top shelf”. A Simple Amish Christmas, the first Vannetta Chapman book is my favorite was my favorite since the day I read it… until now. Murder Simply Brewed has stolen 1st place! Pick up your own copy today… don’t miss this fantastic read! 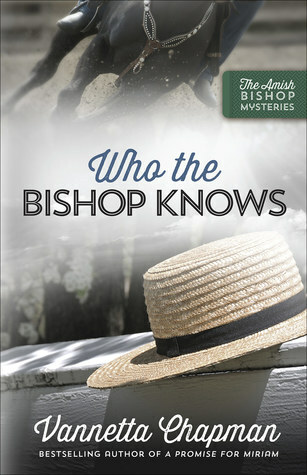 Today I am reviewing Who the Bishop Knows, the first book in The Amish Bishop Mysteries series by Vannetta Chapman. Amish bishop Henry Lapp is known far and wide for his uncanny ability to draw and remember the smallest details of anything he’s seen, skills that have served him well in past investigations. He was at the rodeo that day. The problem? He didn’t see Jason Scott’s death. What the Bishop Knows is a story of accepting our talents, putting one another first, and trusting that God will care for His children. Oh my goodness! Another murder! Will Bishop Henry Lapp and his lady friend, Emma Fisher, ever get the chance to go forward with their relationship? Of course, his special gift would be helpful… if only he had witnessed the murder. Unfortunately, he wasn’t in the stands where he might have seen something. Instead, he was at the hot dog counter, getting a snack for himself and Emma — and he missed the whole thing. So then, why does he keep getting the feeling that he should use his special gift… to sit down and draw… whatever comes to mind. Even though he doesn’t think he saw anything, maybe there’ll be something that will help. At least, that’s the way his gift usually works. I love this series by Vannetta Chapman! This is a series by Ms. Chapman that is going on my TOP SHELF! Don’t miss this exciting series… get your copies and read them for yourself.